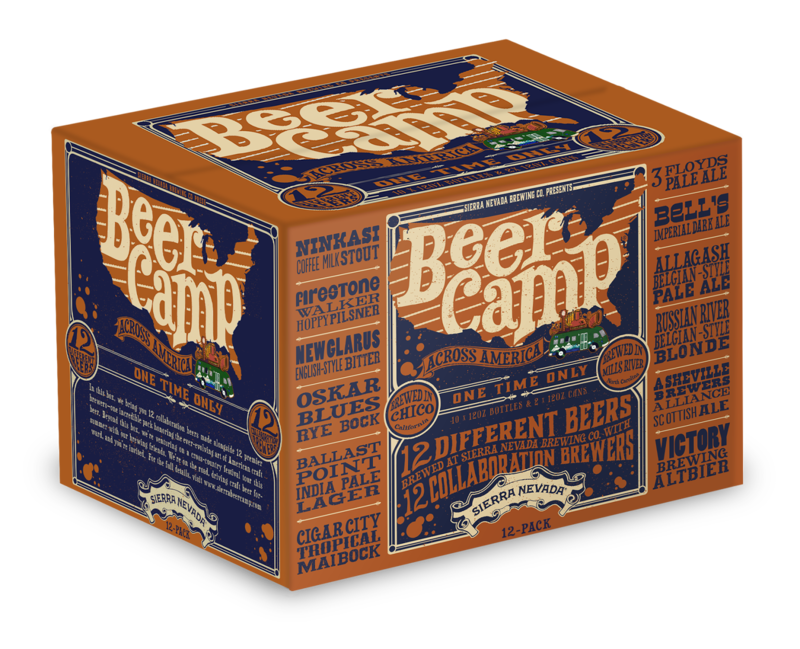 Chico, CA—July 7, 2014—Less than two weeks shy of the kickoff to Beer Camp Across America, an unprecedented seven-city traveling beer festival, Sierra Nevada Brewing Co. has released a one-time-only Beer Camp Across America mixed 12-pack to beer shelves across the nation. The Beer Camp Across America 12-pack features the following coveted breweries, which were selected for their innovation and reputation for brewing world-class beers. Craft drinkers can explore all dozen beers in full detail at www.SierraNevada.com/BeerCamp. More than 700 craft brewers from around the country have already signed on for the multi-weekend Beer Camp Across America tour, which kicks off July 19 in Chico, Calif. With around 1,400 total craft beers on tap, collectively representing almost every state in the union, the event is shaping up to be unlike any to date.